For other people named David Owen, see David Owen (disambiguation). David Anthony Llewellyn Owen, Baron Owen, CH, PC, FRCP (born 2 July 1938) is a British politician and physician. n.b. ^ Sits in the House of Lords as an "Independent Social Democrat". Owen served as British Foreign Secretary from 1977 to 1979, at the age of 38 the youngest person in over forty years to hold the post. In 1981, Owen was one of the "Gang of Four" who left the Labour Party to found the Social Democratic Party (SDP). Owen led the SDP from 1983 to 1987, and the continuing SDP from 1988 to 1990. He sat in the House of Lords as a crossbencher until March 2014, and now sits as an "independent social democrat". In the course of his career, Owen has held, and resigned from, a number of senior posts. He first quit as Labour's spokesman on defence in 1972 in protest at the Labour leader Harold Wilson's attitude to the EEC; he left the Labour Shadow cabinet over the same issue later; and over unilateral disarmament in November 1980 when Michael Foot became Labour leader. He resigned from the Labour Party when it rejected one member, one vote in February 1981 and later as Leader of the Social Democratic Party, which he had helped to found, after the party's rank-and-file membership voted to merge with the Liberal Party. Owen was born in 1938 to Welsh parents in Plympton, near the city of Plymouth, in Devon, England. He also has Swiss and Irish ancestry. After schooling at Mount House School, Tavistock, and Bradfield College, Berkshire, he was admitted to Sidney Sussex College, Cambridge, in 1956 to study Medicine, and obtained a 2:2; he was made an Honorary Fellow of the college in 1977. He began clinical training at St Thomas's Hospital in October 1959. Owen was deeply affected by the Suez crisis of 1956, when Anthony Eden's Conservative government launched a military operation to retrieve the Suez Canal after Nasser's decision to nationalise it. At the time, aged 18, he was working on a labouring job before going to Cambridge. In 1960, Owen joined the Vauxhall branch of the Labour Party and the Fabian Society. He qualified as a doctor in 1962 and began work at St Thomas's Hospital. In 1964, he contested the Torrington seat as the Labour candidate against the Conservative Party incumbent, losing in what was a traditional Conservative-Liberal marginal. He was neurology and psychiatric registrar at St Thomas's Hospital for two years, as assistant to Dr. William Sargant, then Research Fellow on the Medical Unit doing research into Parkinsonian trauma and neuropharmacology. At the next general election, in 1966, Owen returned to his home town and was elected Labour Member of Parliament (MP) for the Plymouth Sutton constituency. In the February 1974 general election Owen became Labour MP for the adjacent Plymouth Devonport constituency, winning it from the Conservative incumbent Dame Joan Vickers by a slim margin (437 votes). He managed to hold on to it in the 1979 general election, again by a narrow margin (1001 votes). From 1981, however, his involvement with the SDP meant he developed a large personal following in the constituency and thereafter he was re-elected as an SDP candidate with safe margins. He remained as MP for Plymouth Devonport until his elevation to a peerage in 1992. From 1968 to 1970, Owen served as Parliamentary Under Secretary of State for the Navy in Harold Wilson's first government. After Labour's defeat in the 1970 General Election, he became the party's Junior Defence Spokesman until 1972 when he resigned with Roy Jenkins over Labour's opposition to the European Community. On Labour's return to government in March 1974, he became Parliamentary Under-Secretary for Health before being promoted to Minister of State for Health in July 1974. As Minister of State for Health he encouraged Britain to become "self-sufficient" in blood products such as Factor VIII, a recommendation also promoted by the World Health Organisation. This was principally due to the risk of Hepatitis infection from high-risk blood donors overseas who were often paid and from "skid-row" locations. 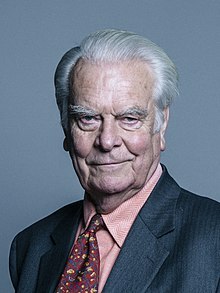 David Owen has been outspoken that his policy of "Self-Sufficiency" was not put into place and gave rise to the Tainted Blood Scandal which saw 5,000 British Haemophiliacs infected with Hepatitis C, 1,200 of those were also infected with HIV. It was later described in the House of Lords as "the worst treatment disaster in the history of the National Health Service". In September 1976, Owen was appointed by the new Prime Minister of five months, James Callaghan, as a Minister of State at the Foreign Office, and was consequently admitted to the Privy Council of the United Kingdom. Five months later, however, the Foreign Secretary, Anthony Crosland, died suddenly and Owen was appointed his successor. Aged 38, he became the youngest Foreign Secretary since Anthony Eden in 1935. As Foreign Secretary, Owen was identified with the Anglo-American plan for Rhodesia, which formed the basis for the Lancaster House Agreement, negotiated by his Tory successor, Lord Carrington, in December 1979. The Contact Group sponsored UN Resolution 435 in 1978 on which Namibia moved to independence twelve years later. He wrote a book entitled Human Rights and championed that cause in Africa and in the Soviet Union. He has admitted to at one stage contemplating the assassination of Idi Amin while Foreign Secretary but settled instead to backing with money for arms purchases to President Nyerere of Tanzania in his armed attack on Uganda which led to the exile of Amin to Saudi Arabia. Shortly after Labour's defeat in the 1979 General Election and following the election of a new Shadow Cabinet Callaghan moved Owen from the position of Shadow Foreign Secretary to Shadow Energy Secretary, a move which was reported as being a demotion. 18 months after Labour lost power, the staunchly left-wing politician Michael Foot was elected party leader, despite vocal opposition from Labour Party moderates (including Owen), sparking a crisis over the party's future. Michael Foot's election as Labour party leader indicated that the party was likely to become more left-wing, and in 1980 committed itself to withdrawing from the EEC without even a referendum (as Labour had carried out in 1975). Labour also endorsed unilateral nuclear disarmament and introduced an electoral college for leadership elections, with 40% of the college going to a block vote of the trade unions. Early in 1981, Owen and three other senior moderate Labour politicians – Roy Jenkins, Bill Rodgers and Shirley Williams – announced their intention to break away from the Labour Party to form a "Council for Social Democracy". The announcement became known as the Limehouse Declaration and the four as the "Gang of Four". The council they formed became the Social Democratic Party (SDP), with a collective leadership. Although Owen was one of the founding members of the party, he was not always enthusiastic about creating a schism on the centre-left, saying to the Glasgow Herald in January 1981 that he felt "haunted by the possibility that, if the Labour Party splits, the centre left will never again form the Government in Britain". Twenty-eight other Labour MPs and one Conservative MP (Christopher Brocklebank-Fowler) joined the new party. In late 1981, the SDP formed the SDP-Liberal Alliance with the Liberal Party to strengthen both parties' chances in the UK's "first past the post" electoral system. The alliance performed so well that for much of the early part of 1982, it appeared that it would become a centre-left coalition government at the next election. In 1982, uneasy about the Alliance, Owen challenged Jenkins for the leadership of the SDP, but was defeated by 26,256 votes to 20,864. In the following year's General Election, the Alliance gained 25% of the vote, only slightly behind the Labour Party, but because of the first-past-the-post voting system, it won only 23 out of 650 seats. Although elected, Jenkins resigned the SDP leadership and Owen succeeded to it without a contest among the six remaining SDP MPs. In 1982, during the Falklands War, Owen spoke at the Bilderberg Group advocating sanctions against Argentina. Ironically, the success of the war ended any hope that SDP might have had of winning the 1983 election. The Tories were proving unpopular largely due to high unemployment and the early 1980s recession, while Labour's democratic-socialist policies were driving away moderate voters. However, Britain's success in the conflict saw Margaret Thatcher and her Tory government surge back to the top of the opinion polls, and her position was strengthened further by the end of the year as the recession ended and more voters had faith in her economic policies. Owen is widely regarded as having been, at the very least, a competent party leader. He had high popularity ratings throughout his leadership as did the SDP-Liberal Alliance. He succeeded in keeping the party in the public eye and in maintaining its independence from the Liberals for the length of the 1983 Parliament. Moreover, under him, the SDP increased its representation from six to eight seats via the by-election victories of Mike Hancock, at Portsmouth South (1984), and Rosie Barnes, at Greenwich (1987). However, the progress of the SDP-Liberal Alliance as a whole was hampered, with policy splits between the two parties. The first was over the miners' strike of 1984–85, with Owen and most of the SDP favouring a fairly tough line but the Liberals preferring compromise and negotiation. More significantly the Alliance had a dispute over the future of Britain's independent nuclear deterrent. Owen and the SDP favoured replacing Polaris with Trident as a matter of some importance, whereas most Liberals were either indifferent to the issue or committed disarmers. The SDP favoured a radical social market economy, while the Liberals mostly favoured a more interventionist, corporate style approach. The cumulative effect of these divisions was to make the Alliance appear less credible as a potential government in the eyes of the electorate. Moreover, Owen, unlike Jenkins, faced an increasingly moderate Labour Party under Neil Kinnock and a dynamic Conservative government. The 1987 general election was as disappointing for the Alliance as the 1983 election and it lost one seat. Nevertheless, it won over 23% of the vote - at that time, the second-largest third-placed vote in British politics since 1929. In 1987 immediately after the election, the Liberal leader David Steel proposed a full merger of the Liberal and SDP parties and was supported for the SDP by Roy Jenkins, Shirley Williams and Bill Rodgers. Owen rejected this notion outright, on the grounds that he and other Social Democrats wished to remain faithful to social democracy as it was practised within Western Europe, and it was unlikely that any merged party would be able to do this, even if it was under his leadership. Nevertheless, the majority of the SDP membership supported the merger. The Liberal Party and SDP merged to form the Social and Liberal Democrats (SLD) in March 1988, renamed the Liberal Democrats in October 1989. At the request of two of the remaining SDP MPs, John Cartwright and Rosie Barnes, Owen continued to lead a much smaller continuing SDP, with three MPs in total. The party polled well at its first election, its candidate coming a close second in the 1989 Richmond by-election, but thereafter a string of poor and ultimately disastrous by-election results followed, including coming behind the Official Monster Raving Loony Party in the Bootle by-election of May 1990, prompting Owen to wind up the party in 1990. Owen blamed the SDP's demise on the reforms which had been taking place in the Labour Party since Kinnock's election as leader in 1983. Some branches, however, continued to function using the SDP name; Bridlington's was still extant in 2006. Lord Holme later blamed Owen for the Alliance's failure to make a breakthrough at the 1987 general election, believing that a merged party would have performed much better and possibly gained more votes and seats than Labour. After winding up the re-formed SDP, Owen announced his intention to stand down as an MP at the next General Election. He then served the remainder of his term as an independent MP and after the 1992 General Election was made a life peer, nominated by then Conservative Prime Minister, John Major, with the title "Baron Owen, of the City of Plymouth", in Letters Patent dated 30 June 1992. As a member of the House of Lords, he is called "Lord Owen" and he sat as a crossbencher until 2014 (see below). Owen was awarded an Honorary Doctorate of Letters from Plymouth University in 1992. During the April 1992 election campaign, Owen writing in The Mail on Sunday newspaper advised voters to vote Liberal Democrat where they had a chance of victory and to vote Conservative rather than let Neil Kinnock become Prime Minister. Owen maintained his long-standing position that he would never join the Conservative Party, although the memoirs of at least three of John Major's cabinet ministers refer to Major being quite keen to appoint Owen to his cabinet, but threats of resignation from within the Cabinet prevented him from doing so. When asked in a conversation with Woodrow Wyatt on 18 December 1988 whether she would have Owen in her government if approached by him, Margaret Thatcher replied: "Well, not straight away. I don't think I would do it straight away. He was very good on the Northern Ireland terrorist business. He's wasting his life now. It's so tragic. He's got real ability and it ought to be used". In another conversation with Wyatt on 4 June 1990 Thatcher said Owen's natural home was the Conservative Party. He was approached privately by Tony Blair, then leader of the Opposition, in 1996 on whether he was ready to support New Labour. Lord Owen declined mainly because he disagreed with Tony Blair's intention, as Prime Minister, to join the eurozone. In May 2005, he was approached two days before the General Election by someone very close to Tony Blair to endorse Labour. He declined, because though he did not want a Conservative government, he wanted the Liberal Democrats to do sufficiently well to ensure a greatly reduced Labour majority. In September 2007, it was widely reported in the British press that Lord Owen had met the new Prime Minister Gordon Brown and afterwards had refused to rule out supporting Labour at the next general election. It later emerged that he could have been part of the GOAT (Government of all talents) initiative advising on the NHS but Lord Owen declined. In October 2009 he wrote an article in The Times predicting that the Conservatives, then well ahead in the opinion polls, were unlikely to win an outright majority. He helped create the web-based Charter 2010 to explain and promote the potential of a hung parliament. The website campaign was launched in January 2010 while the Conservatives still appeared on course to win outright. Within weeks the polls changed and the website became a major source of information about hung parliaments. In May 2010 The Sunday Times called Owen "the prophet of the coalition". During the United Kingdom Alternative Vote referendum, 2011 he signed a letter in The Guardian stating that he opposed AV but would continue to campaign for proportional representation. In January 2011, Owen revealed that his "heart was with Labour" and that he looked forward to the time when he could vote Labour again. He added that what hampered him in the past was the way the Labour Party elects its leader and it was very necessary for the electoral college arrangement to be reformed and he refused to rule out joining the Labour Party in the future. He vigorously opposed the Health and Social Care Bill in 2011–12. In a pamphlet, "Fatally Flawed", he demonstrated that far from the internal market, which he had championed in the 1980s, the Bill introduced an external market and he worked closely with the Labour Front Bench in the House of Lords. In March 2014, it was revealed that Owen had donated over £7,500 to the Labour Party, following leader Ed Miliband's reforms of the party's links with trade unions. No longer eligible to sit as a crossbencher, Owen now sits in the House of Lords as an "independent social democrat". In the June 2017 General Election, Owen continued to support the Labour Party (even though he had once been a political opponent of Labour's leader, Jeremy Corbyn). He made political donations to the national Labour Party, as well as the Labour candidate in Plymouth Sutton & Devonport, Luke Pollard, who successfully won the seat. Currently, he is on the advisory board of OMFIF where he is regularly involved in meetings regarding the financial and monetary system. In August 1992, Owen was British Prime Minister John Major's choice to succeed Lord Carrington as the EU co-chairman of the Conference for the Former Yugoslavia, along with Cyrus Vance, the former US Secretary of State as the UN co-chairman. Private Eye, the British satirical magazine, playfully alluded towards Owen's legendary tendency towards self-destruction. "It's a lost cause", says the bubble emanating from Major's mouth. "I'm your man", says the bubble from Owen's mouth. The Labour Shadow Foreign Minister, Jack Cunningham, greeted Major's appointment of Owen in the British House of Commons by saying that the Prime Minister's choice "was regarded as somewhat eccentric by [MPs] and myself - he [Owen] is known for many qualities, but not as a mediator. Indeed he has Balkanised a few political parties himself." Owen became a joint author of the Vance-Owen Peace Plan (VOPP), in January 1993, which made an effort to move away from the presumption of ethnic partition. According to America's last ambassador to Yugoslavia, the Bosnian Government were ready to accept the VOPP, but unfortunately the Clinton Administration delayed in its support, thus missing a chance to get it launched. The VOPP was eventually agreed in Athens in May 1993 under intense pressure by all parties including Bosnian Serb leader Radovan Karadžić but then rejected later by the Bosnian-Serb Assembly meeting in Pale, after Karadžić insisted that the Assembly had the right to ratify the agreement. After Vance's withdrawal, Owen and Thorvald Stoltenberg brokered the EU Action Plan of December 1993. They both helped the Contact Group of the US/UK/France/Germany and Russia to present its plan in the summer of 1994. In early 1994, the European Parliament voted by 160 votes to 90, with 2 abstentions, for Owen's dismissal, but he was supported by all 15 EU Member State governments. There was a perception in America that Owen was "not fulfilling his function as an impartial negotiator". Owen, however, was consistently supported by all 15 EU Member States and the German Presidency in July 1994 urged him to remain as did the French Presidency in January 1995. Owen was made a Companion of Honour for his services in the former Yugoslavia in 1994. In January 1995, Lord Owen wrote to François Mitterrand as President of the European Union to say that he wished to step down before the end of the French presidency. At the end of May 1995, he was succeeded by the former Swedish Prime Minister Carl Bildt. "Had I been younger, I would probably have resigned when the Americans ditched the Vance-Owen Peace Plan". Owen testified as a witness of the court in the trial of Slobodan Milošević, the former president of FR Yugoslavia. Lord Owen has continued to speak out on issues of international affairs including on nuclear proliferation and constrained intervention. In 2011 he was the first politician to call for a "no-fly zone" over Libya. In an editorial on 27 February 2011 the Sunday Times said, "It was a man who has not been in office for nearly 32 years - Lord Owen, the former foreign secretary - who has been the most eloquent British voice over Libya. His call for a no-fly-zone ... struck the right note". As former Minister of State for Health, Lord Owen has long been highly critical of previous governments for their role in and handling of the tainted blood scandal. Alleging maladministration in 2002 he sought to bring about an inquiry into the matter and was joined in his efforts by former Solicitor General for England and Wales Lord Archer, former Shadow Secretary of State for Health and Social Services Lord Jenkin and others. In 2009 the culmination of these efforts, the privately funded and independent "Archer Report" in which Lord Owen was heavily involved, published its findings but was thwarted because it had no power to compel witnesses as it was not a statutory public inquiry. Successive governments have refused to hold a public inquiry into the matter and continue to withhold documentation on grounds of commercial interest. During his investigation into the matter he attempted to access his archived documents and files from his time as minister. At first he was told "they couldn't find them" and was later told they had all been destroyed; the exact series of events that led to the destruction of these documents remains a mystery and continues to raise questions amongst MPs such as Alistair Burt. Lord Owen has regularly told the media that he is not a conspiracy theorist but that he does suspect there has been a cover-up carried out by the Civil Service and that this was done after prosecutions and jail sentences were brought against government officials in France. In October 2016, the Civil Service Commission refused a request to investigate Lord Owen's destroyed documents and separately the Department of Health advised that "the Department does not have any plans to make public the identity of junior officials involved in this matter". On 10 May 2017 he featured in an episode of BBC Panorama called "Contaminated Blood: The Search for the Truth". Owen had previously been a supporter of Britain's membership of the European Union (saying that he was "not a Eurosceptic" and a "convinced European"), but in recent years has opposed what he sees as the increased federalisation of the EU, citing examples such as a unified currency (the euro), a unified defence force and a unified foreign policy as "structure[s] for a United States of Europe". As chairman of New Europe, he was the co-leader of the 'No to the Euro' campaign with Business for Sterling, which ceased when the UK Government declared in 2005 that Euro membership was off the agenda following the defeat of the EU Constitution in referendums in France and the Netherlands. He called for a referendum before Britain's ratification of the Lisbon treaty, and expressed concerns about proposals for the creation of a 'European Rapid Reaction Force'. In February 2010, he wrote a pamphlet for the Social Market Foundation thinktank entitled "EU Social Market and Social Policy". Owen supports the referendum requirements within the European Union Act 2011. Lord Owen continued to argue for engagement, criticising David Cameron's so-called 'veto' in December 2011 and arguing instead for a formal non-eurozone grouping with the right to join or leave the eurozone. In June 2012 Lord Owen published Europe Restructured, outlining a blueprint for restructuring the EU to allow for those countries that wish to be part of a more integrated eurozone to be facilitated while those who may only want to belong to a Single Market community are enabled to do so. He stated that a referendum on the UK's relationship with the EU is inevitable. In February 2016, he announced that he was backing the UK leaving the EU in light of the 2016 referendum, arguing that "There are many positive aspects to leaving the EU. ... It could be the spark we need to re-energise our nation: a challenge and an opportunity." He has supported Vote Leave and spoken at rallies against the Transatlantic Trade and Investment Partnership, which Owen stated would put the NHS in danger. Owen was interviewed in 2012 as part of The History of Parliament's oral history project. Lord Owen was chairman of Yukos International UK BV, a division of the former Russian petroleum company Yukos, from 2002 to 2005. and a member of the board of Abbott Laboratories, a US healthcare company, from 1996 to 2011. He was non-executive chairman of Europe Steel Ltd and consultant to Epion Holdings, owned by Alisher Usmanov until 2015. From 2009 to 2014 Lord Owen served on the board of Texas-based Hyperdynamics Corporation, an oil concern with an exclusive lease to an offshore area of the Republic of Guinea in west Africa.. He also served on the board of Coats Viyella from 1994-2001. Owen was the Chancellor of the University of Liverpool, from 1996 to 2009. He has written extensively on the interaction between illness and politics, with a particular emphasis on the 'hubris syndrome', a condition affecting those at the pinnacle of power. The concept has been most fully developed in a co-authored paper in Brain. The concept of hubris syndrome has been analysed by Professor Gerald Russell. Lord Owen is chairman of the Trustees of the Daedalus Trust established to promote and provide funds for the interdisciplinary study of how 'the intoxication of power' in all walks of life can affect personality and decision making. He married Deborah Owen (née Schabert), an American literary agent, in 1968. They have two sons and one daughter, Tristan, Gareth and Lucy. ^ a b Eaton, George (2 March 2014). "David Owen joins Miliband's big tent with donation to Labour of more than £7,500". New Statesman. Retrieved 2 March 2014. ^ "Final report" (PDF). Penrose inquiry. ^ "World In Action - Blood Money Part 2 - December 1975". CampaignTB. 2 January 2013 – via YouTube. ^ a b "Lord David Owen - Bad Blood Speech 29/9/16". Factor8Scandal. 30 September 2016 – via YouTube. ^ Youle, Emma (5 October 2016). "'Medics knew risk of HIV-infected blood' given to patients at Royal Free Hospital". Ham & High. Archant Community Media. ^ Evans, Andrew. "taintedblood.info". Archived from the original on 2 January 2007. ^ "NHS Blood Products: Effects of Contamination (Hansard, 30 March 2000)". Hansard. ^ Parkhouse, Geoffrey (15 June 1979). "Shore steps up as Owen is demoted". Glasgow Herald. Retrieved 8 January 2019 – via Google News. ^ Peter Childs; Michael Storry (13 May 2013). Encyclopedia of Contemporary British Culture. Routledge. p. 485. ISBN 1-134-75555-4 – via Google Books. ^ "The Gang of Three hold talks". Glasgow Herald. 19 January 1981. p. 1. Retrieved 4 May 2016 – via Google News. ^ "1983: Maggie's Landslide". Election Battles 1945–1997. BBC News. 2001. Retrieved 2 March 2014. ^ "SDP: Breaking the mould". BBC News. 25 January 2001. ^ "Top Ten: Lib Dem 'breakthrough moments'". ePolitix.com. 24 April 2010. Archived from the original on 12 May 2010. Retrieved 19 September 2013. ^ "No. 52981". The London Gazette. 3 July 1992. p. 11255. ^ Sarah Curtis (ed. ), The Journals of Woodrow Wyatt. Volume One (London: Pan, 1999), p. 691. ^ Sarah Curtis (ed. ), The Journals of Woodrow Wyatt. Volume Two (London: Pan, 2000), p. 305. ^ Hennessy, Patrick (16 September 2007). "The gang Labour blames for wilderness years". The Telegraph. ^ Kite, Melissa (16 September 2007). "David Owen in talks with Gordon Brown". The Telegraph. Retrieved 19 September 2013. ^ "Letters: We will continue to campaign for PR". The Guardian. 11 March 2011. Retrieved 19 September 2013. ^ "No. 53696". The London Gazette (Supplement). 11 June 1994. p. 5. ^ Meikle, James (19 August 2002). "Owen demands inquiry into infected blood scandal". The Guardian. ^ Boseley, Sarah (14 June 2007). "HIV diagnosis took huge toll on family, blood inquiry told". The Guardian. ^ "The Archer Inquiry". Channel 4 News. ^ "Victims of the blood contamination scandal might finally get justice after 35 years". The Independent. 14 September 2016. ^ Boseley, Sarah (25 January 2009). "Government withholding blood scandal evidence". The Guardian. ^ CampaignTB (15 May 2010). "Lord David Owen : Department Of Health warned of risks in 1983" – via YouTube. ^ "Contaminated Blood and Blood Products: 24 Nov 2016: House of Commons debates". TheyWorkForYou. MySociety. 24 November 2016. ^ "HIV blood disaster papers 'were pulped'". The Telegraph. ^ "France Convicts 3 in Case of H.I.V.-Tainted Blood". The New York Times. 24 October 1992. ^ "Contaminated Blood, The Reunion". BBC Radio 4. 16 September 2016. ^ "Destruction of Departmental Papers - a Freedom of Information request to Civil Service Commission". WhatDoTheyKnow. MySociety. 4 October 2016. ^ "Destruction of Documents - Name - a Freedom of Information request to Department of Health". WhatDoTheyKnow. MySociety. 4 October 2016. ^ "Contaminated Blood: The Search for the Truth". Panorama. BBC One. ^ Demolder, Theo (1 May 2016). "Lord Owen: "Where's the radicalism in the Labour Party?"". Varsity Online. Retrieved 5 October 2018. ^ Press Association (24 February 2016). "Leaving the EU could 're-energise' Britain, says David Owen". The Guardian. Retrieved 4 May 2016. ^ Mason, Rowena (5 April 2016). "Brexit is necessary to protect NHS from TTIP, says David Owen". The Guardian. Retrieved 4 May 2016. ^ "Oral history: Owen, David (b.1938)". The History of Parliament. Retrieved 14 July 2016. ^ "Lord Owen interviewed by Mike Greenwood". British Library Sound Archive. Retrieved 14 July 2016. Harris, Kenneth (1988). David Owen: Personally Speaking. Pan Books Ltd. ISBN 0-330-30608-1.